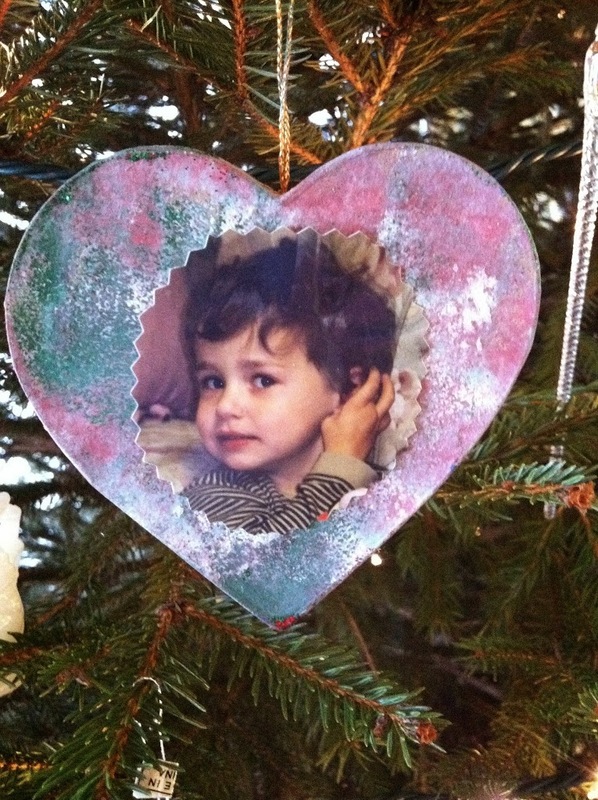 It’s that time of year again, time to get out the Christmas tree ornaments. I have so many that we’ve collected over the years and they all have immense meaning to me with so many memories of when I first acquired them. 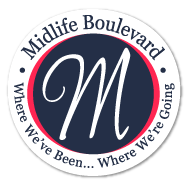 I say acquire, because some I bought, others were hand me downs from my parents, some were home made by the kids (my hands down faves) and many are gifts that we’ve received over the years. These ornaments below are the first ones I ever bought for myself in my early 20’s once I had my own apartment. The apartment had a big dining room, but I had no dining room furniture, so for Christmas that year I bought a huge, fat, round Christmas tree and set it up smack dab in the center of the room. I was dead broke and couldn’t afford to buy real ornaments, so on one of my trips into NYC (even then I was always going into the city) I found these in a little antique Christmas store down on the lower east side. 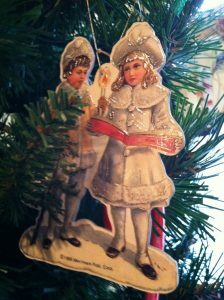 Aren’t these two little Elizabethan carolers sweet? 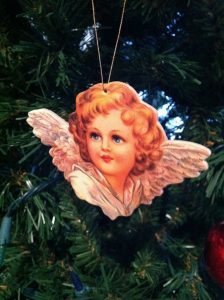 They came in packs of 6 and were really well made of sturdy cardboard with gold leaf printed on the edges so that when you put them on the tree with a lot of lights, they glowed and sparkled in the light and made for a beautiful way to trim a tree for about a total of $30 bucks. I’ve kept them all these years and every Christmas when I put a few of them up I think of that beautiful fat tree in my dining room in that first apartment when I lived on my own. 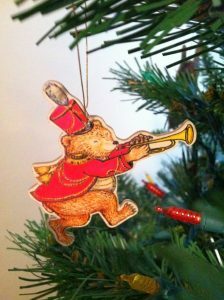 And I just love this happy trumpet playing bear! 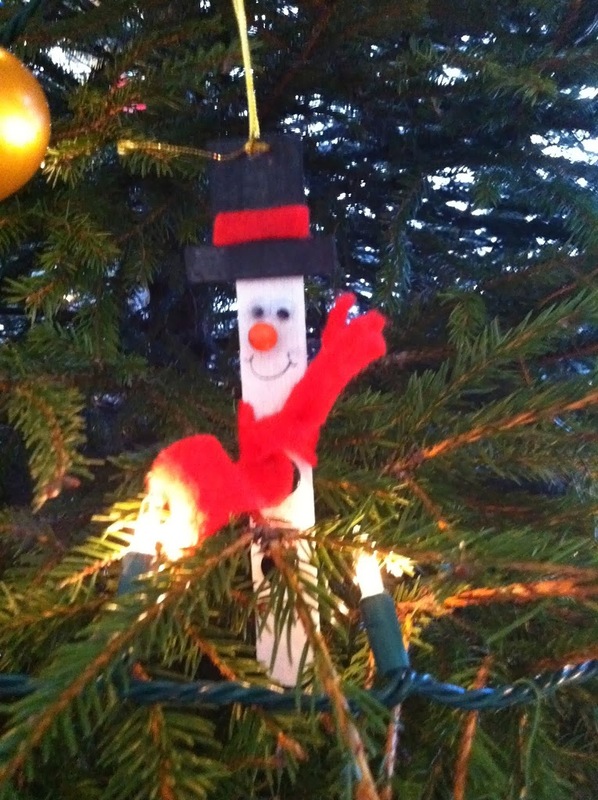 Then there are the various ornaments that the kids made when they were really young; I think these are my favorites. They used to bring a few new ones home every year and we still have them all in the big “ornament box.” Talk about a trip down memory lane when I open the box each year. My daughter made this ever popular popsicle stick snowman! In December of 2010, the end of my year of chemo and surgeries I received this beautiful hand made glass blown pink ornament. 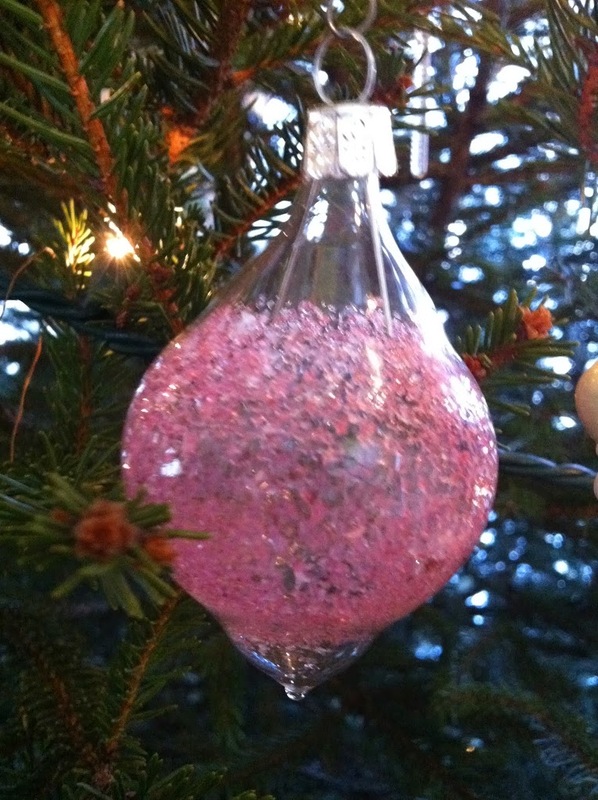 It blows me away to think that someone would actually make me such a beautiful ornament to celebrate the end of my year of breast cancer. See what I mean when I say I have the best friends in the world? I was hoping to post a picture of this years tree already trimmed, but alas, we didn’t quite get it finished yet. Maybe tomorrow. How about you? Is your tree up yet?